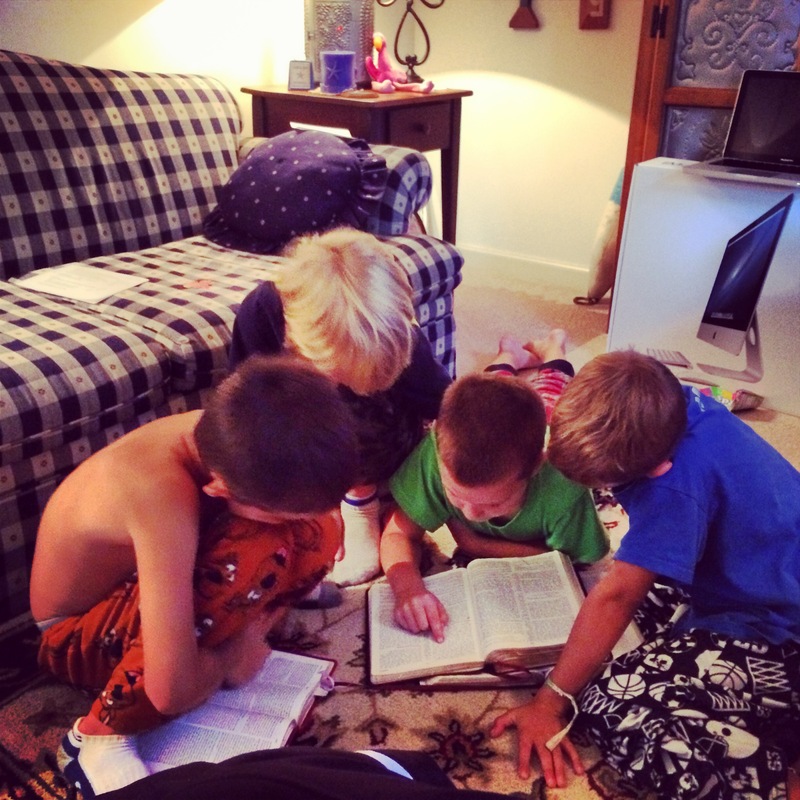 Our son Malachi (8) leading discovery Bible study (Story of Hope #1 – Luke 7:39-50) with his friends during a sleepover. 4) Open up (or turn on) your Bible and invite them to examine the truth with you from the source. I would like to propose response #4. 8-Lesson “Thru the Bible” study. Any of these has proven to be fruitful. It is not the format that yields fruit but the fact that each of these invites people to engage with the Bible to see what is in there and what it asks of us. We have seen people all over the world respond with repentance and faith to these simple, participatory Bible studies. Whether you use one of these or another Bible study, we encourage you to invite your friends, family, co-workers, teammates, classmates, neighbors, etc. who are far from God to engage in a study of the Bible with you. Remember, “43-61% of non-Christians who do not attend church will not if you invite them but WILL study the Bible with a friend.” (Ed Stetzer, Lost and Found) Be that friend today. Make this the bestest black Friday every!! Turn Black Friday to God’s Word….